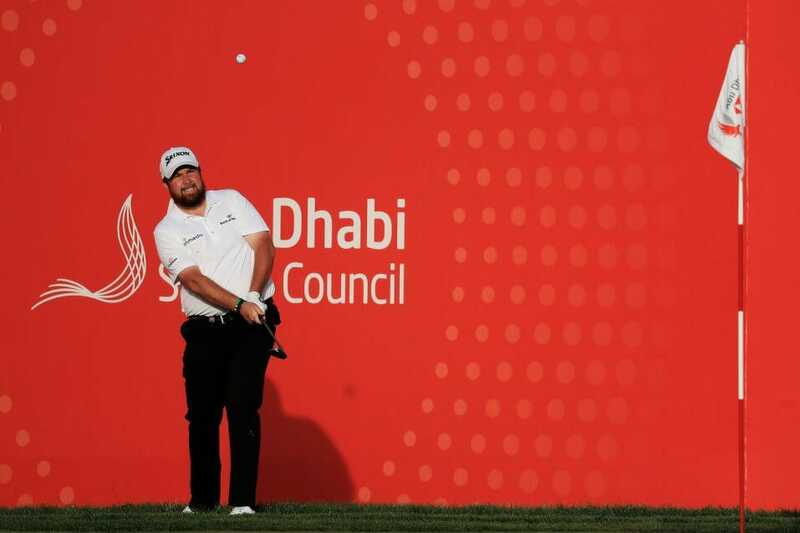 Shane Lowry dug deep to regroup and lead by one shot heading to the closing two rounds of the Abu Dhabi HSBC Championship having produced a second day two-under par 70 for a 12-under par tally on the National course in the UAE capital. The Offaly golfers game was not as pretty or razor-sharp as his career-equalling opening day 62 but at the end of the second day of his first event of the New Year Lowry still has his 31-year old nose in front. Lowry had a poor start as he bogeyed his second and third holes but regained those lost shots with birdies at five and seven. He then birdied the two back nine par-3s for a second day running, including landing his tee shot to within tap-in distance at the 12th and then holing a four-footer from just left of the pin at the 15th, to be one clear of former Open Champion, Louis Oosthuizen (68) and his fellow South African Richard Sterne (68). “I’m really happy with that. Look, I knew today was going to be a bit of a weird day after shooting such a low score yesterday” he said. Lowry is contesting the event for a first time in five years having lost his PGA Tour card at the end of last year and while he and Paul Dunne were out in the UAE for nearly a fortnight working on their games there is no substitute getting a scorecard in the back pocket. “Some of the shots early on in my round were pretty horrendous, so I battled back and hit some really nice shots out there and hit some in close and made some birdies. I was happy with myself,” he said. A fourth Lowry victory, which would be the first since his 2015 WGC – Bridgestone success, would do wonders for the now 31-year old as Lowry is currently ranked 75th in the world and success would see him jump to around 40th on the World Rankings with the assurance of returning to Augusta National after failing to qualify for last year’s Masters. “We’re playing a huge event here, first one of the year, and there’s not another Rolex event for a while, so it would be nice to get off to a good start and get some points on the board and then kick on from there,” he said. Lowry will partner Oosthuizen, and winner of the 2010 Open, in Friday’s third round but sadly, Dunne will not be joining Lowry over the closing two days having posted a second straight 73 for a two-over par tally and miss the cut by five shots. Meantime – West Waterford’s Seamus Power heads into this week’s PGA Tour Desert Classic at Palm Springs desperately looking to end an absolute horror start to his 2018/19 season campaign. Power, 31 has missed the cut in five of his six new season starts, including the last four with the 31-year playing with full Tour status after last August securing the very last full exempt status spot.